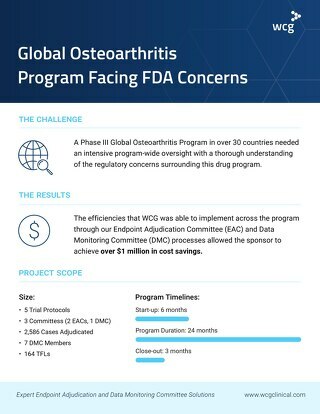 Rescue a “top 10” pharma company’s two-protocol program, which had been open to enrollment for 12 months and was significantly behind the projected enrollment timeline. 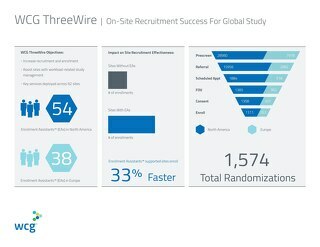 Seamlessly transition all responsibilities to ThreeWire and make up for the previous recruitment vendor’s performance. 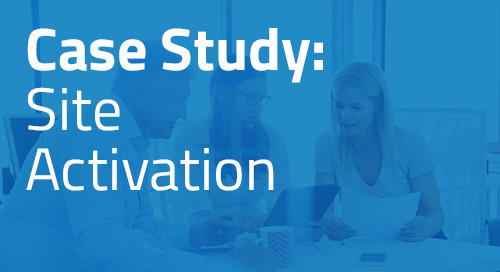 ThreeWire utilized strategic media buys, including radio, print, TV and web, across 78 sites, along with study-branded site materials kits and a website with self-screener. 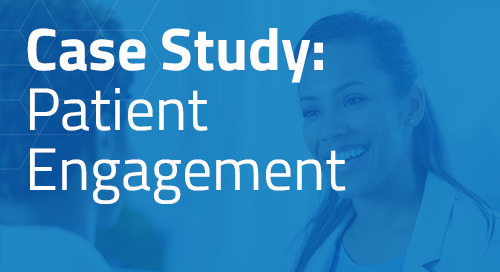 Respondents were given the option to be pre-screened centrally by our Patient Interaction Center® or via the study website. 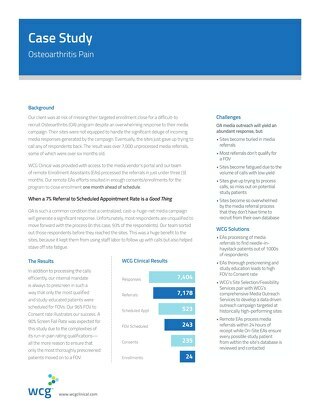 Those that passed the sponsor and IRB-approved screening guide were referred to the local site for an on-site screening visit. 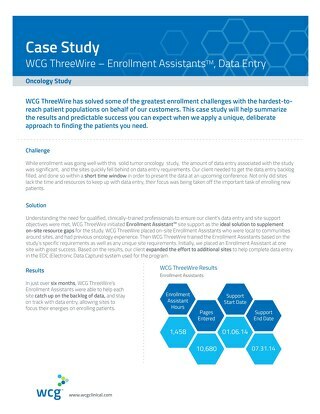 Additionally, ThreeWire Enrollment Assistants™ provided “on-the-ground” support and performed our Chart Review™ service, ensuring that only pre-qualified referrals were identified and generated and that they were processed as soon as possible at the site level. In just over eight (8) months, ThreeWire contributed 234 patients, allowing the sponsor to close enrollment ahead of their adjusted enrollment timeline.